About Hanover Sports Medicine - Dr. Andrew Dahlgren M.D. Hanover Sports Medicine, just outside of Richmond, VA in Mechanicsville, was the creation of founder Dr. Thorp J. Davis in 1998 when he joined West End Orthopedic Clinic at the Memorial Regional Medical Center office. Realizing that there was a need for specialized orthopedic and sports medicine in Richmond, VA and the surrounding areas, Dr. Davis has worked to establish Hanover Sports Medicine as the provider for both pediatric and adult sports medicine needs, from sports physicals to orthopedic surgery and more, throughout Hanover, Mechanicsville, and the central Virginia area. Dr. Andrew B. Dahlgren, MD, MBA is a board certified Sports Medicine specialist with Hanover Sports Medicine and OrthoVirginia. 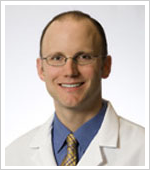 Dr. Dahlgren joined OrthoVirginia/West End Orthopaedic Clinic in 2009 after six years practicing in Jackson, Michigan. Dr. Dahlgren lives in Hanover with his wife and four children. He is an avid swimmer and triathlete and enjoys getting outside to enjoy the beautiful countryside of Hanover County. Dr. Thorp Davis graduated from the University of Virginia Medical School in 1990, and finished his Orthopaedic Surgery residency at the University of Virginia in 1996. He then did a Sports Medicine Fellowship in Indianapolis, during which time he worked with the Indianapolis Colts. While in Indianapolis, Dr Davis published seven peer reviewed articles on various Sports Medicine topics, with emphasis on knee ligament injuries and reconstructions. While there, he received two awards for those papers including the prestigious Hughston Award presented by the American Orthopaedic Society for Sports Medicine for outstanding Clinical Research for his paper on treatment of Posterior Cruciate Injuries. Dr Davis specializes in arthroscopic knee surgery, arthroscopic shoulder surgery, and total shoulder replacements. He serves as Head Team Physician for the University of Richmond, and also covers numerous High Schools in Hanover County and the surrounding areas. 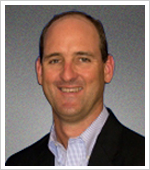 He is Board Certified in Orthopaedic Surgery, and is a member of the American Arthroscopy Association. If you need an experienced practitioner of sports medicine in Richmond, VA or the surrounding areas, contact Hanover Sports Medicine today.